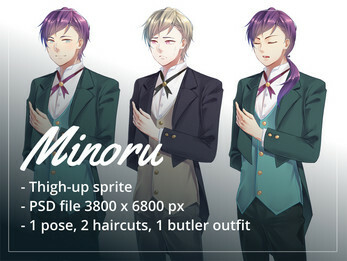 Meet Minoru, the proud butler. Please send me an e-mail to runeraccoon (at) gmail.com for commercial use, you won't pay anything if you don't want to, I just want to make sure you abide the rules. 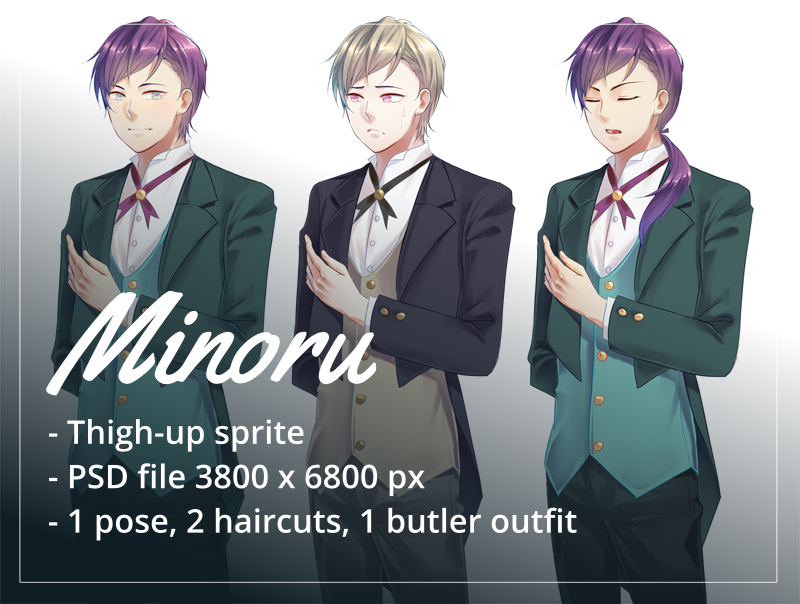 Thank you for being interested in using my asset!